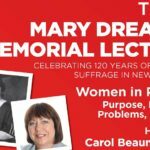 Celebrate 120 years of women’s suffrage in New Zealand at the third annual Mary Dreaver Memorial lecture. 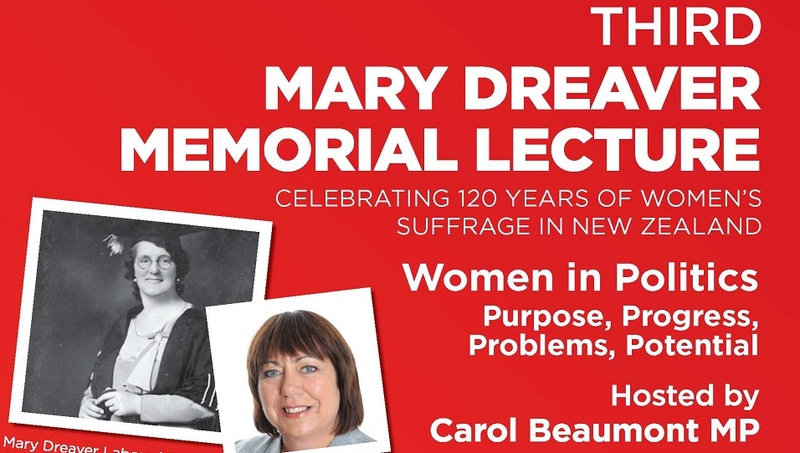 Hear former Labour party presidents, Hon Professor Margaret Wilson, Hon Ruth Dyson MP and Hon Maryan Street MP talk about Women in Politics: Purpose, Progress, Problems and Potential. Afternoon Tea, Drinks and Nibbles from 3.00pm to 3.45pm.